Netherlandish painter. He worked in Gelderland in 1386; he is documented in Paris in 1396 and from 1397 to 1415 he was court painter to the Dukes of Burgundy. 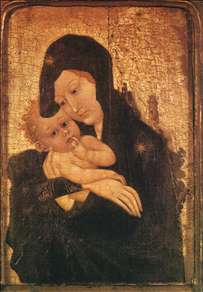 In 1415 he was succeeded by Bellechose. He was the uncle of the Limbourg brothers. 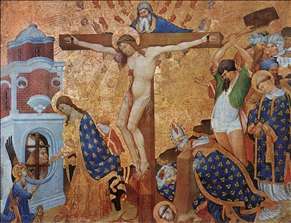 No documented works by him survive, but he has been suggested as the painter of several works, including part of the Martyrdom of St Denis (completed by Bellechose) and a tondo of the Trinity, both in the Louvre, Paris. They have all the refinement of French court art combined with a strength of modelling and a realistic naturalism derived from Flanders. 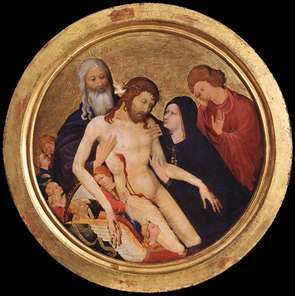 See more details about "Calvary and the Martyrdom of St Denis"
See more details about "Large Round Pietà"